Reliability is an essential requirement for modern bearings with longer intervals between maintenance. For example, they must be robust enough to operate in electrical equipment with modern AC technology.The passage of electric current through rolling bearings can lead to damage in a relatively short period of time. Small craters caused by electric current passage which have been tolerated occasionally in the past are no longer acceptable. 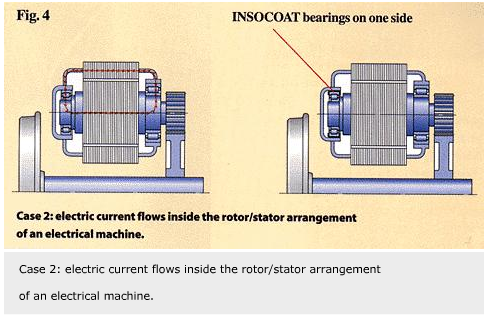 SKF, as a consequence, has developed the INSOCOAT bearing range (fig. 1). These bearings have special coated outer rings with an electrically-insulated layer for a breakdown voltage up to 1,000 V.
To ensure smooth, trouble-free operation, it is necessary to prevent the bearing from electric current passage. The contact areas between housing, outer ring, rolling elements, inner ring and shaft can act as electric contacts. 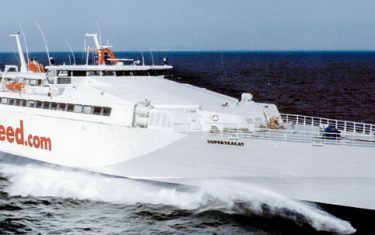 The resulting arcs – characterised by very high temperatures similar to that produced by melting and welding processes – will damage rolling elements as well as raceways of bearing rings. Typical damage is characterised by craters (fig. 2) and false brinelling. 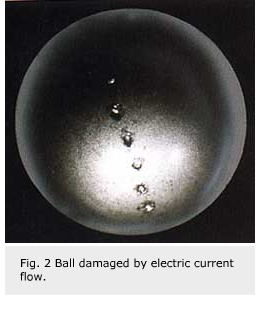 The risk for damage to bearings can occur when transient voltages exceed 0.5V or the electric current flow is more than 0.1A/mm2 (related to the contact area of rolling elements). Also, electric current does not normally flow evenly through several bearings connected together, for example. Electric current flow tends to be concentrated in only one bearing. 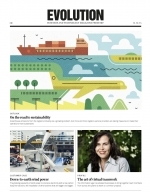 To overcome this problem SKF has developed INSOCOAT bearings. Leading manufacturers of electrical machinery confirm that the use of electrically-insulated bearings offers the most economical solution when compared to other protective measures. a 1,000V dielectric breakdown voltage. Dielectric breakdown voltage optional up to 500V or 1,000V. VL024 and VA309 breakdown voltage to 500V and VL0241 and VA3091 breakdown voltage up to 1,000V. 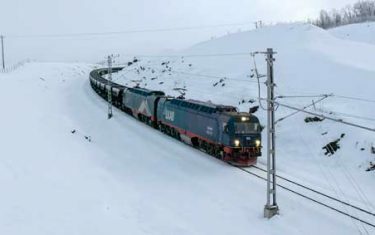 VA309 and VA3091 are applied to bearings for traction motor applications. To ease mounting in case of tight housing fits, it is recommended that the housing bore is provided with an additional chamfer of 15° on the side at which mounting should commence. The ceramic coating has sufficient hardness and adhesive power to resist damage during mounting if all the bearings are handled with reasonable care. In principle, electrically-insulated bearings can be of any type. Most common bearing types include cylindrical roller bearings and deep groove ball bearings with outside diameters larger than 75 mm for traction motor designs, stationary electric motors (medium and large types), generators and special applications including submersible pumps. Also electrically-insulated taper roller bearings could be used as wheel bearings for tram and suspension tube bearings for electric railway vehicles. 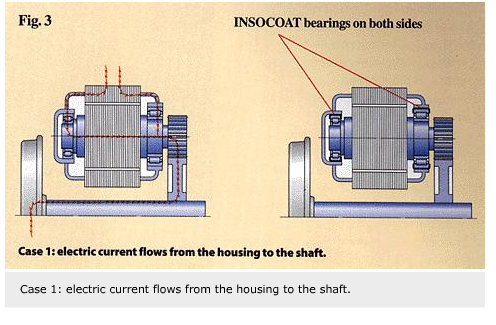 The INSOCOAT bearing offers a number of benefits to customers, not least the ability to protect the bearing against breakdown voltages up to 1,000V. 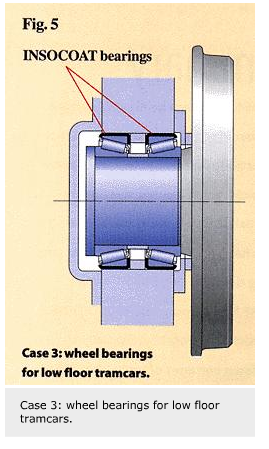 Another important aspect of the bearing is extending service life by avoiding damage caused by electric current flow. This results in higher operational reliability of electrical machinery over the calculated rating life. 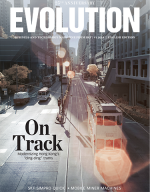 Users should experience lower maintenance costs, better value and better machine quality overall. Electrically-insulated bearings simplify equipment design because no additional insulation material or components are required. 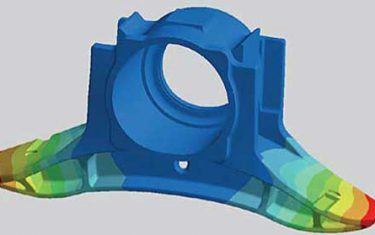 This reduces overall design costs and minimises components. Mounting and dismounting procedures are simple. As the bearing dimensions and tolerances conform to ISO standards the use of INSOCOAT bearings in a typical bearing arrangement does not require any additional design measures and the surface roughness of the housing bores, shaft seatings and abutments are the same as those of bearing arrangements which are not electrically insulated. Thus, non-insulated bearings in existing applications can easily be replaced by insulated ones.